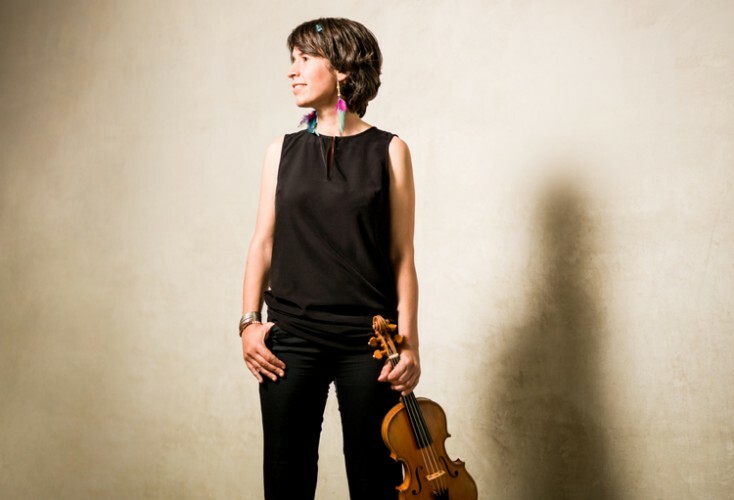 Amandine Beyer, founder of Gli Incognoti, plays Vivaldi violin concertos with Giuliano Carmignola on a new CD. The chamber ensemble Gli Incognoti is no stranger to the works of Antonio Vivaldi (1678-1741). Founded in 2006 by violinist Amandine Beyer, who is featured on this recording, the group made three previous albums dedicated to Vivaldi’s works. Perhaps this interest comes as no surprise, given that Beyer won the 2001 Antonio Vivaldi International Violin Competition in Turin. 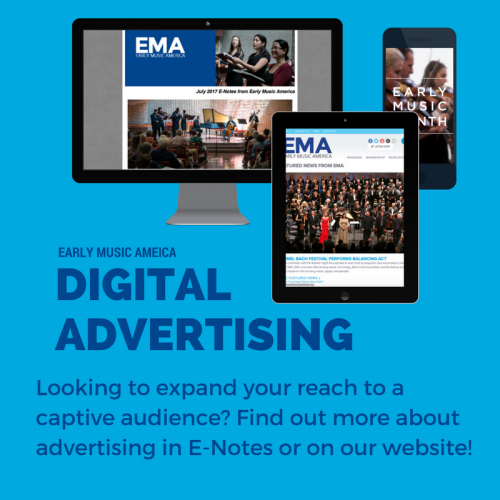 The ensemble also has repeatedly been awarded the Diapason d’Or, among other international praise. 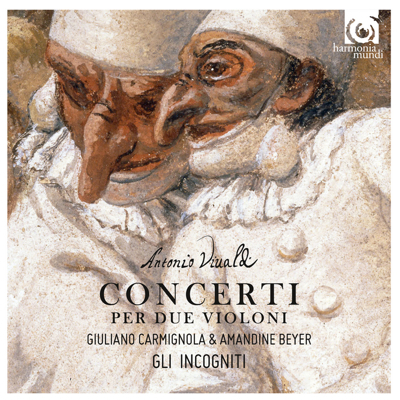 Violinist Giuliano Carmignola joins Beyer and Gli Incognoti on their newest recording, a selection of Vivaldi’s concerti for two violins. Vivaldi’s contributions to the development of the concerto cannot be understated. He might have invented the ritornello form that undergirds movements of the concerto, alternating solo or small group passages with a refrain played by the full ensemble. He might also have initiated the widespread use of the concerto’s standard three-movement structure. Certainly Vivaldi’s approaches to texture, orchestration, and thematic development were imaginative; he constantly plays with harmonic color and the types of timbral shifts brought about by different combinations of instruments. These creative approaches caused his concerti to be highly influential on later generations of composers: Bach, for example, copied out and arranged a number of Vivaldi’s concerto for organ and other instruments. Of the numerous concerti for two violins that Vivaldi wrote, six (RV 505, 507, 510, 513, 527, 529) are included here, along with his concerto a4 (RV 127). The collection works well together, alternating nicely between major and minor keys and showcasing the brilliance not only of Beyer and Carmignola, but also the entire ensemble. The first concerto, RV 507, sets the tone for the album: it begins with a flashy, playful, arpeggiated duet, the two violins battling each other for pride of place before reconciling into enthusiastic partnership with the larger ensemble. The musicians’ take on the plaintive Largo allows the silences built into the main themes to really breathe, and the rise and fall of the solo passage is mesmerizing. The previous good mood is restored in the concluding Allegro in a flurry of unison themes and demanding solo melodies. 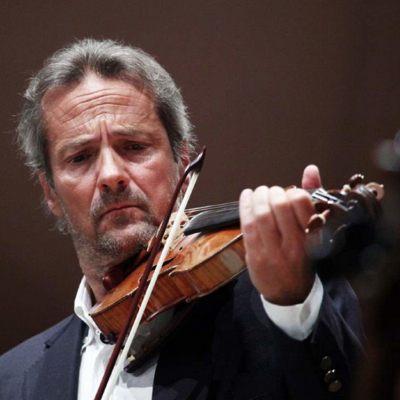 Giuliano Carmignolo joins Beyer in Vivaldi concertos. The RV 510 in c minor is a short, little concerto, yet with a dense world of musical invention included. The opening fugato is compact, while the lyrical Largo plays with the tone colors available to a small ensemble. The concluding Allegro layers fast, arpeggiated solo passages over a rich tutti section and a warm, solid basso continuo. Sparks truly fly, however, in the opening movement of the concerto a4, the higher violins chasing the lower instruments with an energetic stepwise melody. After a poignant Largo, the sparks return in the closing movement, in which a simple descending line turns into virtuosic time-keeping and some of the most musically raucous playing in recent memory. The ensemble plays with admirable rhythmic precision — crisply, cleanly, and with an energy that borders on the zealous. They are clearly passionate about Vivaldi, allowing his sense of color, line, and orchestration to be organically revealed. May there be more Vivaldi in their — and our — future.